The course in birzebbugia (click here) will be based on the use of tools to give a working method. Scouting and Match Analysis with the right tools are of great assistance in support of staff. Enjoy this beautiful interview courtesy of Vincenzo Russo, Match Analyst professional and expert on Big Data Analysis. Vincenzo Russo has a degree in economics with a specialization in Marketing, qualification at the University of Salerno with an elaborate Marketing in football-"Case Bc Milan ". He holds a Uefa B licence and possesses the qualification for Instructor of Figc and Coni-young soccer players Coerver Coach of 1st level. Working in football for the past 15 years, alternating between the field work and to "desk". In recent years he has served as a Match Analyst for Cavese Calcio of Mr. Agovino, with Cagliari of Mr. Rastelli in the year of the victory of the Serie B and last season, after a brief stint as a contributor to a Research Institute with regard to international Big Data in soccer, he cooperated with Fidelis Andria of Mr. Falcone skimming the qualification Pro League playoffs. Hello Vincenzo, technology has carved out an important place in the world of football, ultimately with the inclusion of the VAR, what does specifically a Match Analyst for help to coach? The football world is constantly evolving, trying to improve or implement where there are gaps in trying to offer a staff and players the best means to work effectively. On the figure of the Match Analyst there is unfortunately a great improvisation nowadays and all too often leads to confusion about which ones are the real tasks of this type of employee. 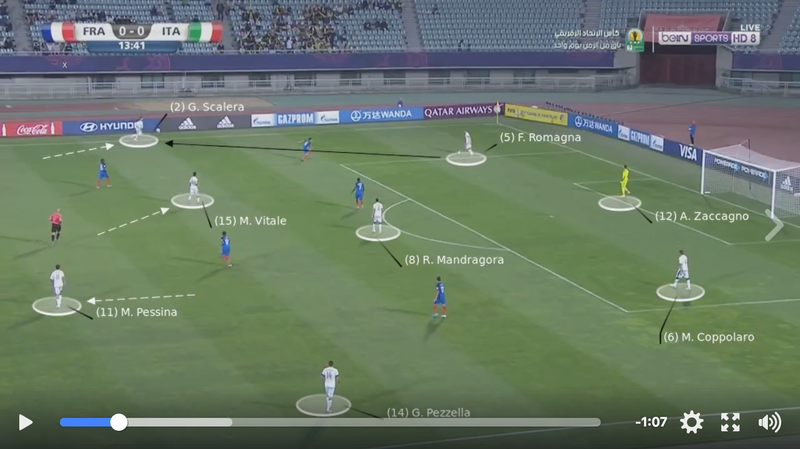 The video is a tactical analyst technician in every respect, must have skills to field with a culture and an important tactical background so that you can compare well with coach/staff and players giving directions. A Match Analyst pure, then not used in any way on the pitch, must fulfill all the tasks of contour ranging from analysis of training sessions, study-error correction of its races and individual meetings with players in front, the analysis of opponents and sometimes to direct collaboration with the Scouting Department. In some advanced realities should be aware also of cataloging of data collection to the Fund performance and their skimming for the coach in order to confirm/refute/correct as proposed. How important is the right training to perform best with your everyday/seasonal? How much the past experience? Personally I was born as a coach starting from the third category and having had the opportunity to train in almost all categories amateurs (except for Excellence). A video analyst needs to know the dynamics of field otherwise it is almost impossible to deal effectively with the thought of the coach or the players. Have previous experience allows you to possess the necessary expertise to effectively solve certain situations and at the same time create moments of constructive dialogue with the staff. 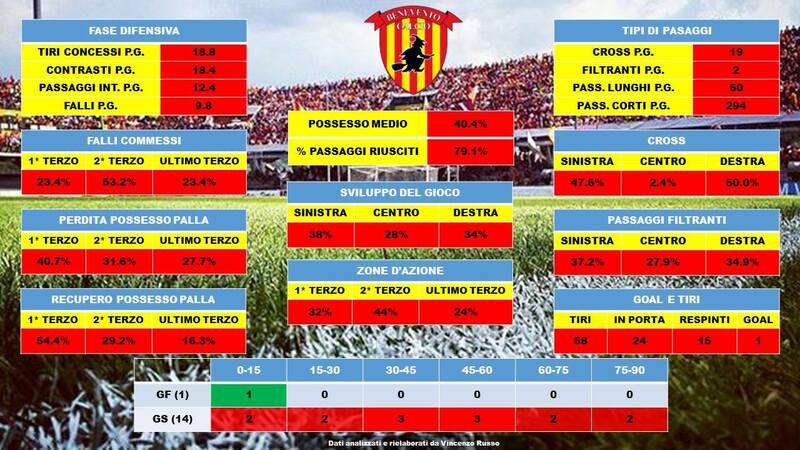 Take a recent example, a pro coach of Serie C plays his Italy Cup and, through dialogue, we have to analyse together the errors and the positives of the provision. No contributor can presume to substitute itself for the coach but must understand the thinking and of lightening the task where possible. If I know how you work in the field, I follow my workouts "chief" and know what to expect, I will also scremargli the videos so as to give him a job to see already fit slimmed down and advanced. This is to say that you do not have to continually update Match Analyst, sudden training and to improve the quality of the proposed work. The Match is considered the staff technologist Analyst, over the course of your career you got to test many software and customizzarli for your needs, how to optimize your work through technology? The Match Analyst is the technician who should have good computer skills for excellence as a result the work is closely related to the use of appropriate software. I know colleagues who only use one, or at most two software, to develop the working week. It is not a modus operandi wrong but I believe in multitasking understood as taking the best from each software available so that you can work on multiple situations simultaneously creating a deliverable complete in every facet. I told her that I was born as a coach but I've adapted to the needs of the coaches I've worked with becoming scout, video editor or else when needed and coming today to have my methodology. My weekly work part 10 days before the next race by finding the video using platforms like Wyscout or InStat or viewing live races by storing the Scouting part using the web app by LFScouting, the software by Enrico Maria Love help me in the cataloguing of the quantitative part of the races, the notes on individual players and regional tactical races preview it. Integrated there is an instrument of tactical Board, Coach Editor, I use to early drafts of indication to be sent to the coach. Step then the video analysis using VideoMatch to Sics or Dartfish and elaborate the trimmed clips with professional editing software like Pinnacle, Adobe Premier or Sony Vegas. After you create the video, reamed with the help of coach on duty, complete the job with an explanatory paper report that includes the Scouting of individual races and explanations of each video part laid out by Coach LFS Editor. It is said that the work of a match analyst is representable as an inverted pyramid, in what sense? Video-analysis work is very stressful as it involves many hours of videos divided among multiple tasks to fulfill, not necessarily the only study their opponents as many people think. The main objective of a good match analyst is to be always ready by studying and analyzing every facet as accurately as possible from the managerial profile, passing for tactical ideas and understanding the approach to racing but never forgetting to collect as much information as possible to give completeness to the analysis of the individual elements so you can give a priori or rush guidance on reading the race and adaptation. During a regular season Match Analyst is the staff person see more races. Therefore if you want to represent the work you can do as an upside down pyramid where base are the hours of racing the analyst views and gradually descending we pass to what he sees the staff, the coach and the players. If a video analyst view the latest 4 opposing races totaling 360 minutes and works for 8-10 more hours, the team will study the video clip duration was 10-15 minutes divided by stages in a technical meeting of 30 minutes maximum. What do you think of the big data usage in football and their increasing use in recent years? In my recent past I've had the opportunity to deepen the analysis of the data is in the context of television that in view of preparing the working week for the club. A careful preliminary study data can facilitate the work of video analysis or at least give a general idea of what kind of team we will analyze and what are the preferential choices implemented in the last few races in terms of damaging developments , game flows and defence. This kind of information is not always available in the amateurs but a shrewd analyst can create their own database using the right tools and giving added value to their work. Professional perspective it finds too and sometimes you end up misleading information. The data is a help to understand some dynamics, direct the vision of certain facets but never operating field work. May I know where mainly develops offensive game a team or where directs most corner kicks in favour but it will always be the task of the coach found the ultimate solution to take advantage of this information. One last question, what are your plans for your future? What's new on the horizon? This entry was posted in Match Analysis, News. Bookmark the permalink.